A Mermaid’s Tale Exclusive Trailer & Box Art! When a twelve-year-old girl befriends a quirky teenage mermaid who’s anything but mythical, their friendship could heal an age-old feud between humans and sea people. Jerry O’Connell (Jerry Maguire) and Barry Bostwick (“Spin City”) bring to life this family-friendly saga of a young girl’s playful friendship with a teenage mermaid. 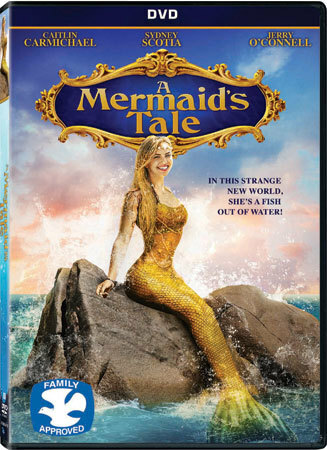 A mythical story about friendship and discovery, A Mermaid’s Tale swims home on DVD and Digital HD on May 16 from Lionsgate. Do you believe in Mermaids? Comment below! Which Mermaid Power Would You Want?